I think maybe I am not quite smart enough for Helen Oyeyemi. I am always so enthralled with her, and so proud of myself for (I think) understanding some of the symbolism, drawing the links and conclusions I should be drawing, understanding some of the story line that she hints at but doesn't quite tell us. And then I get to the last 10-20 pages of the book and am just completely lost. This happened to me with Boy, Snow, Bird, and it has happened again with White is for Witching. Luckily, based on a quick Google/blog search, it looks like many other people were also confused by White is for Witching, so at least I am in good company. I found this book utterly absorbing, even as I had a feeling I was reading on a different plane than the one on which Oyeyemi was writing. This is a rich and beautifully written story about grief and loss, about the walls we build to make us feel safe and how those walls can turn on us. There are four narrators of this story, one of whom is a deliciously creepy and unreliable house. Honestly, I love any book with an unreliable narrator. I also like books with multiple narrators. So Oyeyemi had me hooked pretty quickly. Lily Silver died in Haiti, leaving her husband, Luc, and teenaged twins Eliot and Miri behind. Luc runs a B&B in Dover. It's hard to keep help because people are very frightened of Miri and (mostly) of the house itself. Miri doesn't eat real food, she just chews on chalk and plastic, and she just got out of the hospital. She looks very thin and nothing at all like herself. Miri gets into Cambridge and she meets this amazing girl, Ore, there. Eliot (supposedly) goes to South Africa. That's pretty much all I can say with certainty about this book, though it is rich with so much more. I really love Oyeyemi's way of weaving commentary about current events and perceptions into her books. For example, in White is for Witching, the creepy, evil house is highly xenophobic and very racist, working desperately hard to kick out anyone who isn't white from the house, including the help, the houseguests, and Miri's friend Ore. This is paralleled by the Kosovan refugees in Dover and Ore's experiences feeling like a complete outsider at Cambridge. The story also details the deep grief that Luc, Eliot and Miri feel at the loss of Lily (who probably was trying to escape the house, too. The house likes to kick out certain people but also works really hard to keep others in). Luc buries himself in his work and makes elaborate, beautiful meals that he hopes and prays that Miri will eat and enjoy (she does not). Eliot tries to distance himself from his twin sister but finds that he misses her deeply. And Miri, poor Miri, feels like she is turning into her mother (or her grandmother, or her great-grandmother), losing her own memories. And then the end of the book comes and I have no idea what happened. What did Ore do with the salt and the skin? Did it work? And why did Sade leave? Did she do anything to help? And is Miri now part of the house, or did the house reject her, or what? WHAT HAPPENED? So, basically, I have no idea. But I still thought this book was really well-written and maybe I am just not meant to understand the endings of any Oyeyemi book. 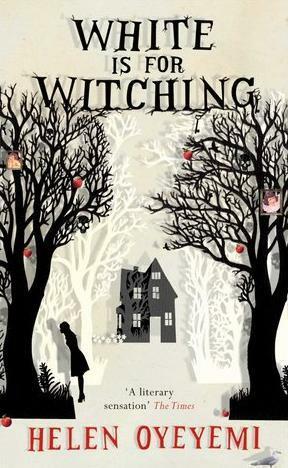 Definitely read this if you like Shirley Jackson! Or if you like unreliable narrators! Or if you want to a book to force you to think and wonder but not quite know. And, er, maybe don't read it right before going to bed like I did. I feel exactly the same way about Helen Oyeyemi! I read Mr. Fox and thought it was really good even though I couldn't tell what was going on half the time. I think it might have helped if I had read the fairy tale it was built on before reading the book, but even then I think there would still have been a lot that went over my head. Yes, maybe I should have read more about Snow White before this one? Or about vampire mythology? Yes, the end of that book came TOTALLY out of nowhere to me. I haven't tried Mr. Fox yet, but I should. I really enjoyed this one (more than Boy, Snow, Bird). It seems like she maybe has a thing with Snow White? I loved this book--and I mean LOVED it. But I still didn't know what was going on a lot of the time. I just loved the imagery, and I loved thinking about what it all might mean. Hmm, I've been on the fence about this author - so many seem to love or are 'meh' about her books that I haven't developed any interest. Until this post! I always get so intrigued with wondering how I would react to ambiguities. Will consider this. Do you think it would be a good idea for a book club? Yes! Then you can all be confused together! :-) Or maybe talking out some scenes or things would make it all clearer.